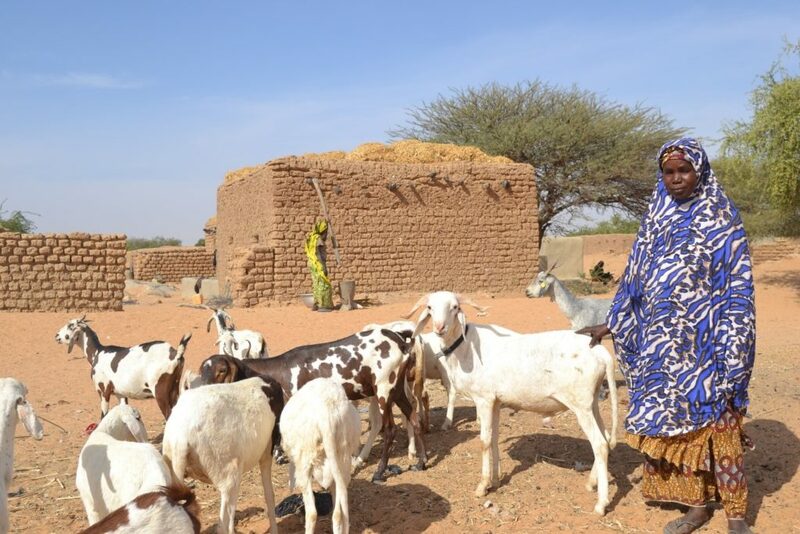 Tillaberi region, Niger: A beneficiary who initially received 4 goats is today the owner of a herd of 15 goats, which provides her a source of income that improves the resilience of the entire family. For the past 20 years Caritas Denmark has supported the implementation of development and humanitarian aid interventions in Niger. Today we are a strategic partner of the Danish Ministry of Foreign Affairs and our projects in Niger are implemented by our local partner CADEV-Niger. Over time Caritas Denmark together with CADEV-Niger have sought, among other things, to contribute to female social and economic empowerment, by various income generating activities and activities to enhance women’s rights and influence in public life. Currently, we are supporting women and girls in the outskirts of Niamey, where they are trained in different income generating activities, which can improve the living conditions and resilience for the whole family. We also work for improving and protecting the rights of women, such as providing women with ID-cards. As traditions around gender roles are strong in Niger, we implement our programmes in close dialogue with religious and traditional leaders in each municipality. Caritas Denmark is also present in the Tillaberi region in response to the Mali displacement crisis, where we work for strengthened resilience of Malian refugees living outside the refugee camps and host communities in areas where limited resources are a source of conflict. Our programme contributes to improved self-reliance and food security as well as access to drinking water and sanitation amongst refugees and host population.